Bill Scavone has been named a “2017 Top Franchise Leader” by Franchise Business Review. Weichert Real Estate Affiliates, Inc., headquartered in Morris Plains, N.J., is proud to announce that Bill Scavone has been named a top franchise executive by Franchise Business Review in its “2017 Top Franchise Leaders” list. Scavone is president and chief operating officer of the Weichert® national franchise company and one of only 41 executives in the country to be recognized on the prestigious list, which is put out annually by Franchise Business Review. This year’s top franchise leaders were selected based on feedback Franchise Business Review gathered from surveying nearly 30,000 franchisees in 2016, representing more than 300 leading franchise brands. 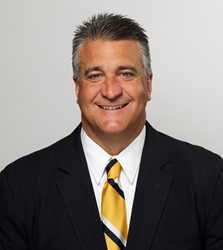 Scavone was named president of Weichert Real Estate Affiliates, Inc. last year, after previously serving as the company’s chief operating officer, as well as senior vice president of franchise development. Since assuming his new position, the Weichert franchise company has also been recognized by Entrepreneur magazine as one of America’s top franchise opportunities. Weichert Real Estate Affiliates, Inc. showed significant advancement in its overall ranking on Entrepreneur’s 2017 “Franchise 500®” list, moving up 32 spots to No. 105 on the overall list this year. As head of Weichert Real Estate Affiliates, Inc., Scavone oversees more than 300 affiliate offices in 39 states, representing smart entrepreneurs who were interested in joining a nationally recognized brand which offers incomparable tools, training and marketing techniques to set them apart from the competition. Each Weichert affiliated office is independently owned and operated. The Franchise Business Review “2017 Top Franchise Leaders” list can be found online at https://franchisebusinessreview.com/top-franchise-leaders/fbr-best-franchise-leaders-2017. More information about Weichert Real Estate Affiliates, Inc. can be found at http://www.weichertfranchise.com or by calling (877) 533-9007. About Weichert, Realtors: Since 1969, Weichert, Realtors has grown from a single office into one of the nation’s leading providers of homeownership services by putting its customers first. A family of full-service real estate and financial services companies, Weichert helps customers buy and sell both residential and commercial real estate, and streamlines the delivery of mortgages and home and title insurance. Weichert leverages its customer website, http://www.weichert.com, one of the most visited real estate websites in the nation, to help families and individuals realize the dream of homeownership through quick and easy access to listing information and the services of its real estate professionals nationwide. Like other family-owned and -operated businesses, Weichert enjoys greater public trust according to several national surveys. For more information, Weichert’s customer service center can be reached at 1-800-USA-SOLD.